About Us >> Background – NextCure, Inc.
NextCure is a clinical-stage biopharmaceutical company committed to discovering and developing novel, first-in-class immunomedicines to treat cancer and other immune-related diseases by restoring normal immune function. 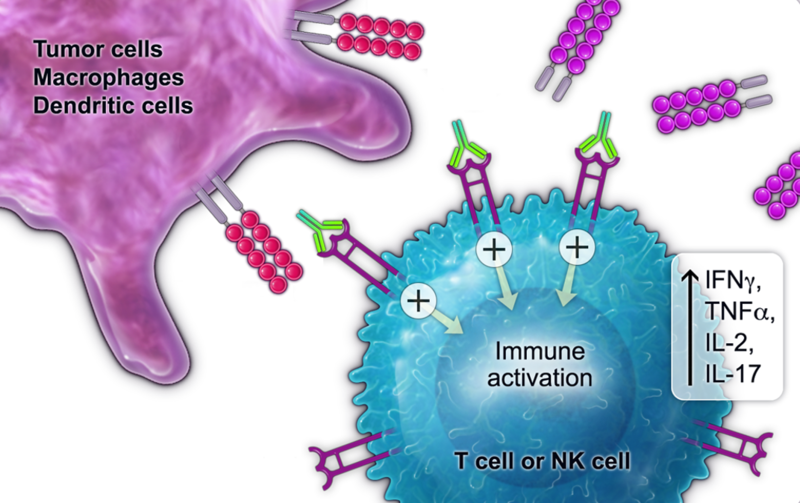 We view the immune system holistically and, rather than target one specific immune cell type, we focus on understanding biological pathways, the interactions of cells and the role each interaction plays in an immune response. Through our proprietary Functional, Integrated, NextCure Discovery in Immuno-Oncology, or FIND-IO, platform, we study various immune cells to discover and understand targets and structural components of immune cells and their functional impact in order to develop immunomedicines. We are focused on patients who do not respond to current therapies, patients whose cancer progresses despite treatment and patients with cancer types not adequately addressed by available therapies. Cancer is a complex disease where cells in the tumor microenvironment promote tumor progression, immune evasion and suppression of anti-tumor immune responses. While therapies targeting inhibitory or immune checkpoint molecules have shown important success in many cancers, not all patients benefit from these therapies (non-responders), and many develop resistance after initial treatment. NextCure is identifying novel tumor-specific interactions and mechanisms of immune regulation to generate a sustainable product pipeline to address these patients in need. NextCure brings significant experience and innovation in cancer immunology. The company’s FIND-IOTM technology provides a large repertoire of function-based screens and imparts a unique understanding of cell surface molecular interactions between immune and diseased cells. We are using this important knowledge to rapidly develop and advance novel biologics that impact suppressive myeloid cell populations, T cell subsets, and other cell populations within the tumor microenvironment to restore anti-tumor activity and improve clinical response rates and outcomes for patients. NextCure’s experienced leadership team is backed by top-tier life science venture and corporate investors, and builds upon the work of its scientific founder, Dr. Lieping Chen, through a collaborative relationship with Yale University.